…and sometimes, this entails picking up poop. For science! Last summer, my lab started two projects exploring bird song learning. We’d spent months designing appropriate methods to address our questions. 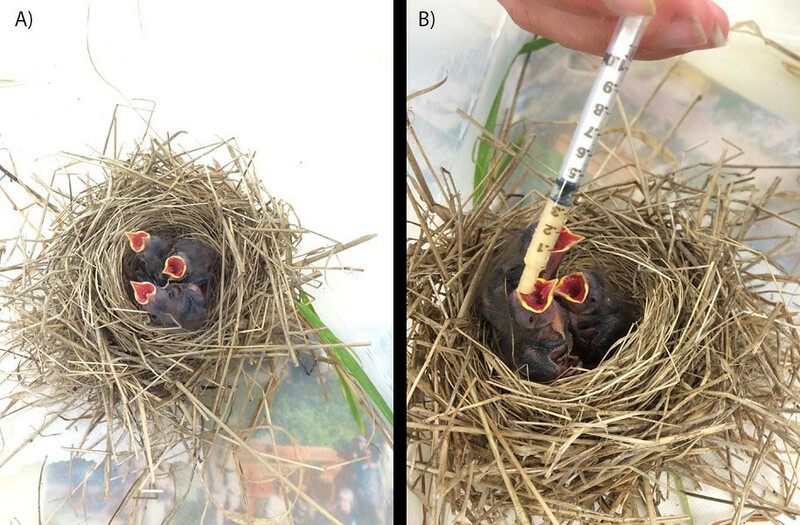 But once we had birds in the lab, it became clear that a huge amount of time and effort had to go into simply: 1) feeding birds by inserting plastic syringes full of mush down their throats (Fig. 1b), and 2) removing tiny poops from their nests using forceps. We had 32 babies, and each bird had to be fed (and poop removed, equipment sanitized) every 45 minutes from sunrise (~6am) to sundown (~9pm). One feeding round took ~45 minutes, upon which the next round had to be started. A missed feeding or poop-contaminated nest could threaten the sensitive birds’ lives and ruin the study! 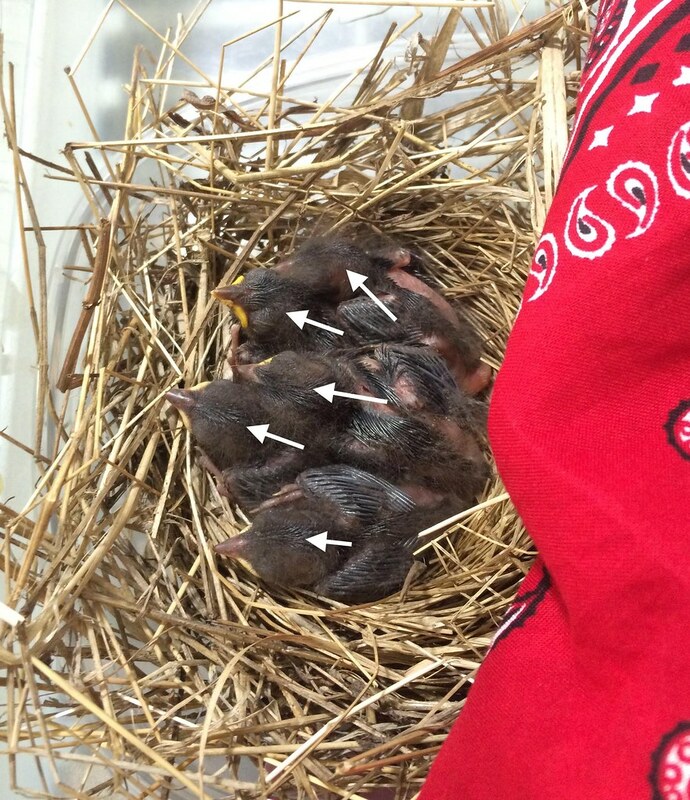 So I put on my bird mama hat and, along with my advisor and a team of incredibly helpful undergraduate assistants, made sure those babies grew into strong, healthy adults!